Old Hunter Bone is a Hunter Tool. "The bone of an old hunter whose name is lost. It is said that he was an apprentice to old Gehrman, and a practitioner of the art of Quickening, a technique particular to the first hunters. It is most appropriate that hunters, carriers of the torch who are sustained by the dream, would tease an old art from his remains. " When using this hunter tool, the Hunter appears to teleport while rolling or using the quickstep technique. The time in between rolls is also greatly reduced, allowing the player to quickstep and roll far faster than normal for a short period of time. It also grants a very slight stealth effect to rolls and quicksteps, making it difficult for opponents in PVP to guess where exactly you're going to move next. There is no limit to how many times you can use the Old Hunter Bone, so long as you have the necessary Quicksilver Bullets to activate it. It requires 4 Quicksilver bullets in order to use (was lowered by 1 in patch v1.03 and by 1 more in patch v1.04). The duration of the buff lasts approximately 16 seconds when activated. Reusing this hunter tool while still under its effects will restart the amount of time it's active once more. The Old Hunter Bone is located in the Abandoned Old Workshop. Go to the Cathedral Ward, take the elevator up then run across the bridge to the tower and stay on the outside (Healing Church). Go right then fall down, you'll find a long shaft that you can find a way to fall. Go along the right side and fall on a platform underneath the initial platform. You'll see a trail of platforms that eventually take you to a door. This leads to the Abandoned Old Workshop, the source of the Hunter's Dream. You will find this hunter tool on the grave on top of the hill next to the workshop. This hunter tool is used by the Bloody Crow of Cainhurst during the last part of Eileen the Crow's storyline. Once the minimum requirements are met to wield this hunter tool, it's useful for any arcane build due to the power it grants. However, due to its low arcane requirement (15), there are many builds who can function on 15 arcane to gain access to this powerful hunter tool, while also gaining the ability to use other hunter tools such as the Empty Phantasm Shell, Beast Roar and Messenger's Gift. It should be noted that the Old Hunter Bone does not scale with arcane in any form, similar to the mentioned hunter tools above. Using the Blood Bullet technique will completely eliminate the need for Quicksilver Bullets, granted that you keep in mind the health cost. If you have The Old Hunter DLC, you'll notice that the grave where you find the Old Hunter Bone in the Abandoned Old Workshop corresponds with the awakening stone to reach the DLC areas. It's possible that one of the old hunters you meet in the DLC could be to whom the bone belonged to. A popular theory states that the Old Hunter Bone belongs to Lady Maria of the Astral Clocktower; this is due to the fact that Lady Maria has the enhanced quickstep technique of the bone yet is not seen casting it (compared to the Bloody Crow of Cainhurst who must repeatedly cast the spell). Further supporting the idea of the bone belonging to Lady Maria is that the grave is located in a special location close to the workshop. Gehrman is hinted by several item descriptions to having "a certain kind of mania" regarding Maria and may have buried her near the workshop to pay tributes to her. On top of this, the Plain Doll can sometimes be seen looking at that particular grave and found there. It is speculated that the Plain Doll was created in the image of Lady Maria, which could explain why the Plain Doll is found there. However, at the same time there is no concrete evidence that it did in fact belong to Lady Maria. The art of enhanced quicksteps wasn't unique to Lady Maria alone, and hunters armed with this tool can replicate the art as well. Finally, while the description of the Old Hunter Bone does use the phrase, "his remains," calling the possibility of Maria into question, the orginal Japanese uses an anonymously-gendered pronoun. We are left with an ambiguous conclusion at best. So it&apos;s been lowered to 4 QS correct? It&apos;s not supposed to be 2 QS bullets? Makes Ludwig&apos;s phase 2 much easier. "It is speculated that the Plain Doll was created in the image of Lady Maria"
Speculated? It&apos;s pretty damn obvious. Works especially well with the Beasthunter Saif, either using the L1 attack into short form after a roll (has low wind-up, closes distance, and deals extra damage), or just using the roll-R1 attacks of the short form. The "swift attacks" of Burial Blade and Blade of Mercy also benefit drastically from the high-speed dodging. This tool is a holy grail for the second half of the Orphan of Kos boss fight. 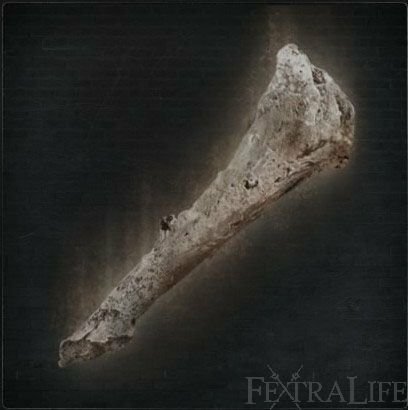 The original Japanese description of the Old Hunter&apos;s Bone does not use gender specific pronouns, making it entirely possible for the remains to belong to Maria. Quickening is a useful ability in and of itself, but this tool is simply too expensive, and the buff only lasts 16 seconds, enough for maybe 2-3 attack runs at most, or simply a fast retreat. If the cost were lower and the time greater, it would be a viable tactic to use, but in most cases it&apos;ll just stall the fight and wast ur silver, not to mention an opportunity to use a different attack. It&apos;s only really effective in PvP, since mobs can still track you via proximity without actually "seeing" you directly. Your still fast enough to evade any boss in the game without it, and you still get a split second of invincibility while dashing without it, so it&apos;s only real attack purpose is to make it harder for human opponents to track u in a fight, but any experienced hunter will simply back off and wait for the buff to expire while preparing an attack of their own, or using the opportunity to heal. It might help you startle a noob, but I think the only real use for this tool is either as a backup means of retreating, or for rushing past faster mobs or groups that use projectiles. Does anyone else also think that the Quicksilver Bullet cost for this Hunter&apos;s tool is too ***** high? Note that I&apos;m very new to the game and I&apos;ve not played multiplayer yet, so as to see if it is overpowered there. I&apos;d appreciate some more experienced thoughts. Thanks in advance from a novice hunter.